It is rare that a teacher is able to transform hundreds of lives in five short years. But as Director of the TASIS Opsahl Global Service Program (GSP), Zach Mulert was able to help create and guide this unique program, impacting both TASIS students and the countless people involved in the organizations supported by the GSP. Six years ago, former headmaster Michael Ulku-Steiner approached Mulert and asked him to envision his dream service learning program. Mulert thought this to be a theoretical exercise that would help buttress what was at the time known simply as the Service Learning program; instead, his vision was combined with that of Ulku-Steiner and benefactor and visionary Jan Opsahl ’68 to create the Opsahl Global Service Program we know today. Five years in, Mulert feels it has been gratifying to read students’ glowing accounts of their trips and to see the GSP ranked as the most excellent program at TASIS in the annual senior surveys. Missteps and mistakes along the way have only improved the Program, and Mulert’s emphasis continues to be about transforming lives—those of TASIS students, and those of the communities the GSP serves. Mulert is quick to attribute the Program’s success to faculty leaders, students, administrators, Board members, and countless others. One of the greatest measurements of their collective success is seeing students travel to the same country multiple times or even continue their commitment to serving others after graduation. Recent examples include Tennessee Hildebrand ’17, who was so inspired by his service learning trip to India his senior year that he chose to return to Odisha to volunteer for two months this winter and ended up producing an exceptional documentary about Gram Vikas, a GSP partner. 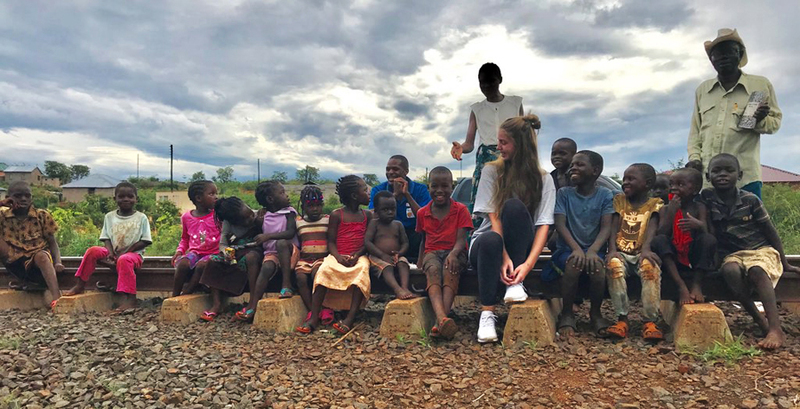 Camilla Redmond Costa ’18 spent the winter holiday of her senior year as a volunteer in Zambia after spending two weeks there with the Serving Southern Africa group the previous spring, and she hopes her actions will encourage other TASIS students to build upon their experiences in the GSP. “I really hope that what I have done inspires people to put in additional effort because even though what we do through TASIS is great, sometimes we need to take another step and do more,” she said. Mulert finds inspiration in stories such as these. “These students are just a few examples that show the legacy is real,” he said. Mulert’s admirable character and the incredible program he’s run with such passion have had a lasting impact on the hundreds of students he got to know over the course of his seven years at TASIS. We asked several students to tell us how he shaped their lives, and their responses were remarkable. See the wonderful photo book Julie Frazier-Smith and Kim Nelson put together as a parting gift for Mr. Mulert. Mulert leaves the GSP in the capable hands of a man he calls “an incredible leader,” Danny Schiff. A High School Math teacher and longtime Hadsall Dorm Head, Schiff came to TASIS in 2010 and has led GSP trips to both Nepal and Cambodia. He also hopes to keep alumni involved to stress that the impact of these trips is lasting. Bringing alumni back to speak to groups or assemblies would provide a new perspective on the work the groups are doing. 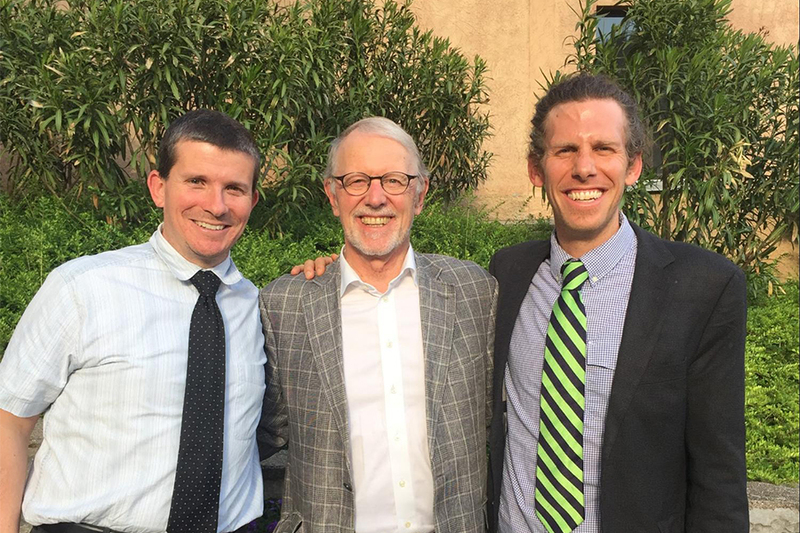 Schiff understands how fortunate he is to take over a program that is endless in scope and potential, and Mulert credits the entire TASIS community for embracing the Global Service Program and recognizing its immense value to the School and those it serves. 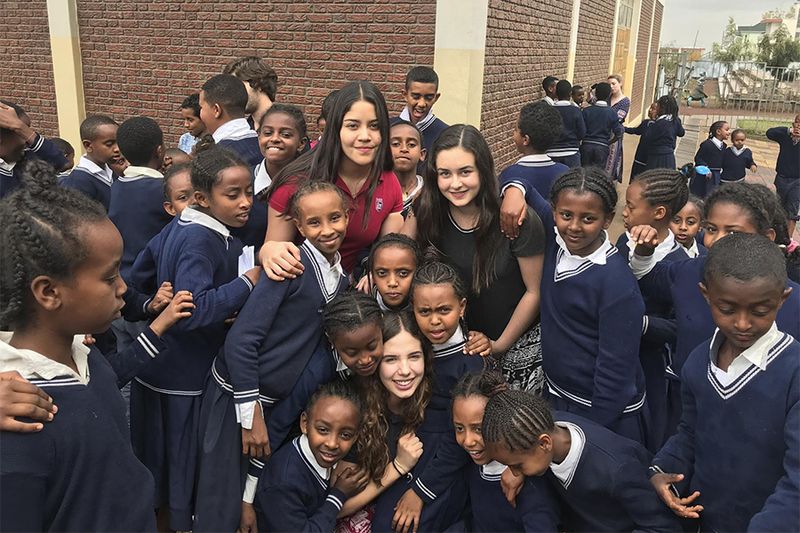 TASIS students and faculty chaperones went on a record 10 global service trips in 2018. Read general descriptions of these trips here, and learn a bit more about them below. All seniors are asked to fill out a survey prior to their departure from TASIS, and one of the questions is, “To what extent was the Global Service Program an influential part of your TASIS experience?” Below are some of their answers from the past five years. I can honestly say that the Serving South Africa trip changed my life. It broadened my views and helped me realize the greater needs of the world. Words cannot explain how life-changing the trip was. It has allowed me to recognize how powerful one's willingness to help can be. The Global Service Program has influenced my TASIS experience significantly. I have grown as a person after serving Habitat for Humanity and going to Bulgaria. It is an experience I highly encourage many students to become a part of, regardless of where you go and what you do. I loved my 11th-grade service learning since it gave me the opportunity to visit Malawi, which was an unforgettable experience for me! The GSP was highly influential my junior year when I went to Kenya. I think that experiencing what we had been learning about first-hand really changed my perspective of education and how it is actually a privilege. I was very involved with my service learning group, Nepal. 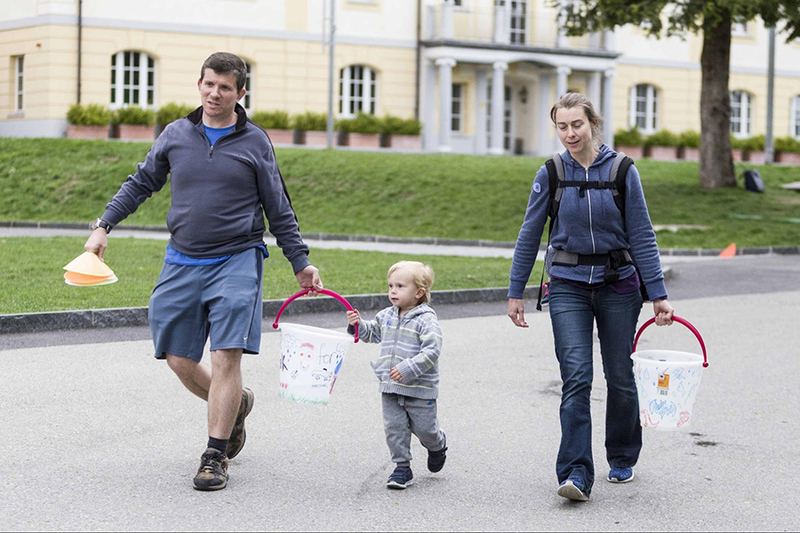 I feel like the time we spend helping others and traveling to other countries is extraordinary and not only helps the people in less fortunate situations but changes those who get involved with it and truly try to do the best they can on trips around the world and in Ticino. The Global Service Program was the best part of my TASIS experience. I am thankful to the school for giving me an opportunity to visit Malawi. This trip was one of the best in my entire life. I really enjoyed the Global Service Program and believe it was very influential. In 11th grade I went to Romania, and it was an eye-opening experience. The GSP is one of the best things at TASIS. I loved WISER, and I think everyone should help the WISER girls. I traveled to Hungary my junior year and loved it. The program really opens students' eyes to the world and gives them a chance to grow. The Global Service Program is the best opportunity TASIS has ever provided to its students. It allowed me to get involved with global issues that I would generally not have been involved with. It has played a major role in my TASIS experience and has even been the reason I changed what course to study in university. The Global Service Program was incredibly influential on my experience at TASIS. I think that the program is very strong in terms of how it impacts the lives of students following the trip that corresponds with the group. The Global Service Program is something that defines TASIS! Serving as a group leader for Ethical Food SL has definitely had a particular influence on me. I am now more willing to volunteer in activities of the same kind. I am grateful for having an opportunity to be a part of this program. I am so grateful for the Global Service Program. My life was deeply impacted by my experience in Ethiopia. The Global Service Program was one of the programs that made my TASIS experience worthwhile. It truly changed my perspective towards life and helped me help others. Going to Zambia, experiencing diverse cultures, building huts, and even playing with the children while taking care of the elderly influenced me and opened my mind towards doing service in the future. The Global Service Program has helped to shape me as a person, and I cannot imagine my two weeks of service in Nepal not being a part of my life. I would love to pursue a career in service, and I would love to continue traveling the world and helping those in need, and I have the GSP to thank for that. Nepal is an extremely special and vital part of my life, and for that I am grateful. It was an incredible experience I will treasure all my life, and I hope to go back to volunteer in the future with the same organization. Everything was very well done. Going to Nepal with Mr. Schiff was probably the best experience I've ever had in my life. I have never had a better time than together with my group on that trip and it was just overall amazing. I loved being a part of the service program, and I think it's one of the best things about TASIS. It was very influential for me to participate in the program, and I believe it has the strength to help students know about those people who are not able to live a comfortable life in harsh conditions, yet also learn from their cheering spirits. Being able to travel to Morocco and Kenya with the Global Service Program has opened my eyes in a way that would have never been possible if it weren't for it. The experiences shared with the people that go to the trip with you and the people you help are unforgettable and change people for the better. I think that the Global Service Program is an amazing opportunity. This year I went to Africa, somewhere I never thought I would go at the age of 18. I got to help a lot of people. and I got to learn a lot about their culture. It was one of the best experiences I had in TASIS, and I would love other people to share my experiences. The Global Service Program enriched my soul with compassion and understanding. It was an amazing program for me because I learned a lot of new things and most of all I learned to help others. It was a very influential part of my TASIS experience. It made me think about many things and understand that I have an ability to help people in need and change their lives. Being granted an opportunity to visit WISER and see for myself that there is indeed a generation of empowered, high-achieving women out there was beyond rewarding. The desire to communicate my musings and reflections has caused me to become one of WISER’s group leaders. I gained a thorough understanding of worldwide health challenges, engaged with issues of global importance, considered ethical implications, and undertook new challenges. The Gram Vikas group was amazing, and the experience of learning about the NGO and traveling to India was very influential. It really did open my eyes to how grateful we are for everything we have at our disposal and the amount of times we complain for things that are unimportant and diminutive. The Global Service Program had a huge influence on my TASIS experience. Traveling to Cambodia was one of the best things I’ve ever done in my entire life. I got to have the experience of a lifetime. Not only did I get to travel to a place that I never thought I would, but I also got to do service while there. The GSP influenced me to become a more global citizen, and I now have a better and deeper understanding of world issues. I believe the program is as good as it can be. The Global Service Program changed my life positively. My experience in Nepal made me realize the necessities of our brothers in difficult situations. It is one of the most influential and special things TASIS has to offer. It helps students from all backgrounds and economic status to explore service, and I can't think of any weaknesses. I believe that the Global Service Program was the most amazing and life-changing experience I have ever had. I will be joining the Peace Corps next year since I have decided to do a gap year, and my trip with Caring for Cambodia inspired me to do so. The Global Service Program provided me with the opportunity to broaden my view of the world and get involved in service. It has inspired me to try and search for other service opportunities after TASIS. The GSP has been an influential part of my TASIS experience because it taught me life lessons and made me understand the different realities of this world. The Global Service Program was very influential because it made me become a more altruistic and open-minded person.